Welcome to Les Deutsch's web space. Since I own the domain name for the Night Blooming Jazzmen (in which I have played for many years) I have taken the liberty of using this domain to anchor several of my own projects. Use the navigation bar above to check out the various things I have been doing. I am Les Deutsch. By day I am a mathematician and manager for Caltech and NASA's Jet Propulsion Laboratory. We are the people who explore the Solar System and are responsible for the Mars rovers. Feel free to check out the NASA, JPL, and Caltech sites to learn more. This space is dedicated to my musical activities that take place after I leave the Lab each day. My father, Ralph Deutsch, was the inventor of the first digital electronic musical instruments. He passed away in Augst 2011. I have written some web pages to provide a biography and tribute to him. People often ask me how many instruments I can play. I really do not know the answer. However, I should be able to tell them how many I own. 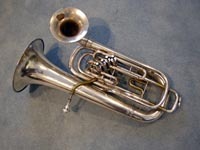 In an attempt to answer this puzzling question, I have created a catalog of all of my musical instruments. This is work-in-progress and I will continue to update the list. 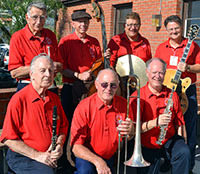 The Night Blooming Jazzmen is one of the top Dixieland bands in the U.S. I joined the NBJ, as they are called for short, as their pianist in 2001. We travel the country and the world playing at jazz festivals and making recordings. I also maintain the NBJ web site, so you might notice some similarity in design! 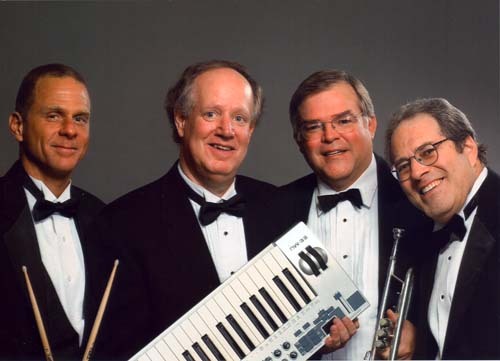 This is a straight-ahead jazz quartet in which I play keyboards. The name is a play on words. In the radio community, Ka-band is the radio spectrum between approximately 26 GHz and 38 GHz. This is the up and coming spectral band for deep space missions. The Ka-Band is made up entirely of people with technical day jobs. Yet another band - but this one is mine! This is a sextet that I use when I contract weddings, bar mitzvahs, and the like. I have arranged all the music in the book, which is quite varied. It includes jazz, pop, latin, rock, ballroom dances, and klezmir. I became very interested in "virtual organs" a few years back. 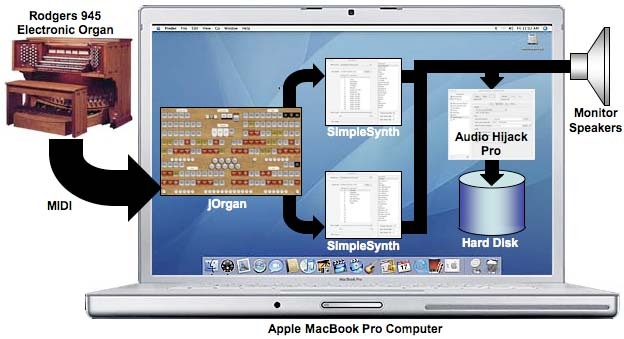 These use standard home computers to generate organ tones in response to physical keyboards. This page explains my first major attempt at this using a software program called jOrgan. I created a large theater organ and even recorded a track for an NBJ album. I now spend some of my copious free time designing virtual organs using both the Hauptwerk and jOrgan systems. I am even a registered sample set designer for Hauptwerk, though I make all my designed available for free. I have recently begun a project to convert a very large old electronic theater organ console as a controller for Hauptwerk. Please watch my progress here. I have always had a fairly strange taste in music. This probably explains my interest in the composer Raymond Scott (and that wasn't even his real name!) 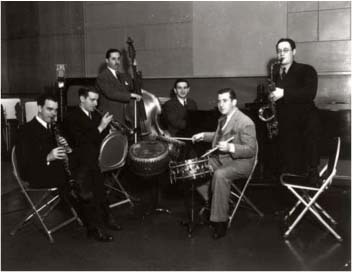 I have transcribed and arranged many of Scott's weird jazz compositions from the 30s and 40s. You may recognize some of these themes from Loony Toons cartoons. Though several of these other pages contain sound samples, I will add others to this page that don't seem to fit anywhere else! 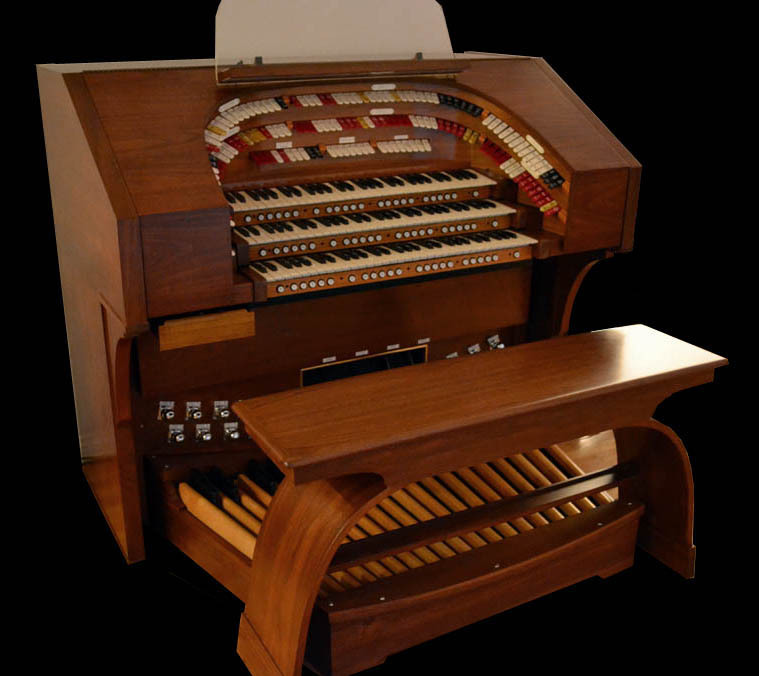 And since I did not have enough musical instruments yet, I built a very substantial digital theater organ, using a 1960's Artisan Organ console shell as the starting point. This was a multiyear project that tested my skills in woodworking, wiring, and simply getting into very small spaces with failing eyesight. This page describes the finished product. You can read about how I built this by going to the "Organ Status" page. This was my blog describing my progress in restoring a 1960s vintage theater organ console and hooking it up to my Hauptwerk software system. This page was updated every few weeks during the project. Watch me make progress and mistakes. Watch me solve insurmountable difficulties. 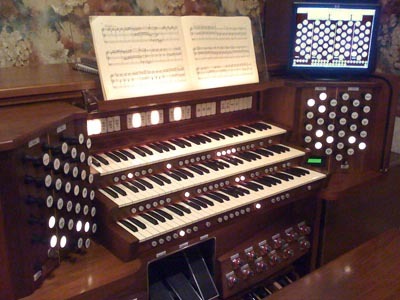 Now that the organ is complete, this page serves both as a historical record and an example for others to follow for their own similar projects. Here are some other places on the Web that I believe you should visit. If you really need to contact me, this is place to go.